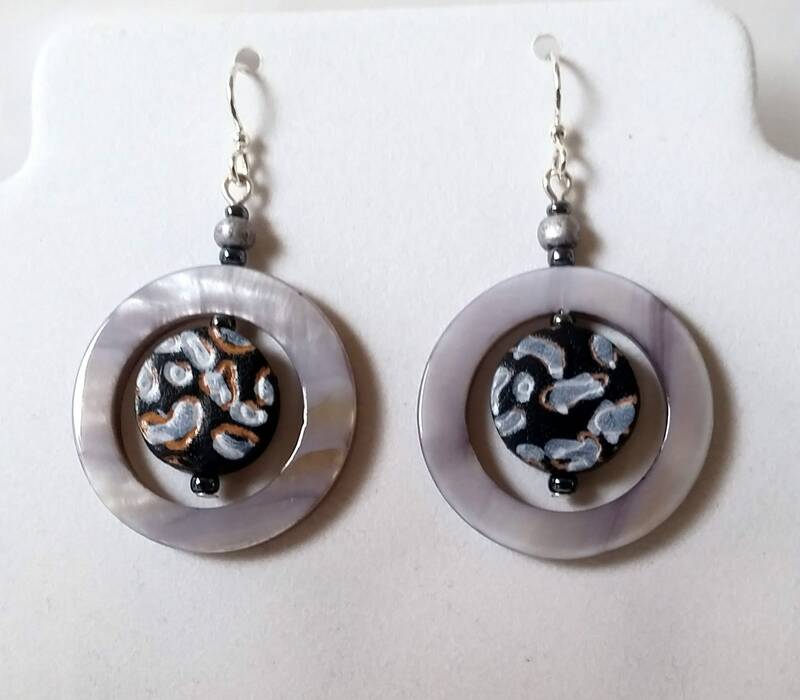 Blue-gray mother of pearl hoops have a smaller than dime-shaped leather bead center with blue cloud shapes on black background. These in turn are suspended by sterling silver ear wires! These fun bead-inside-a-bead earrings move when you do!!! 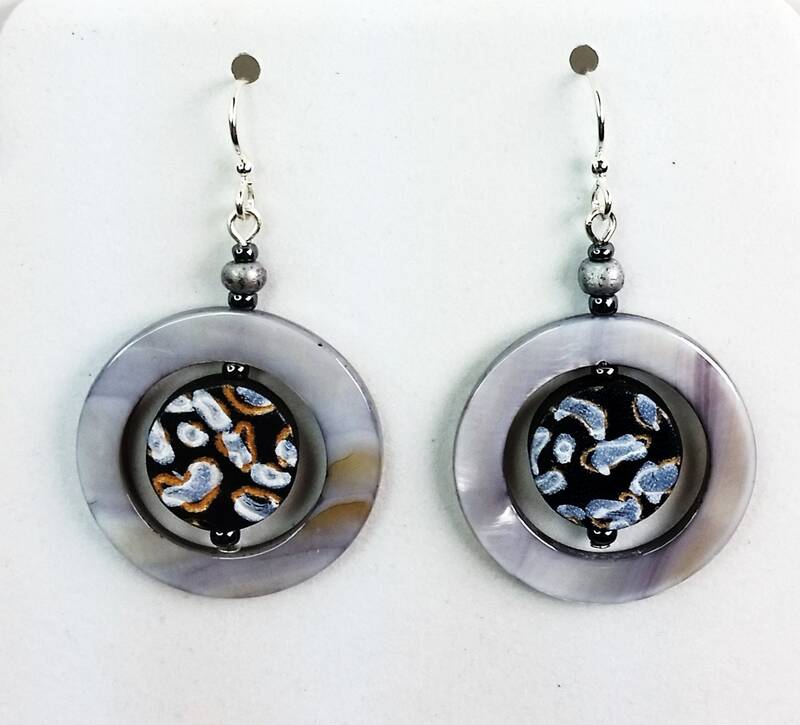 Mother of pearl shell and leather come together in these splendidly earthy earrings made from natural materials!